provide more beautiful and tranquil spaces which can serve needs of our customers and offer more sustainable areas. Our expertise is in whole range of real estate development activities, these include Land assessment, land acquisition, planning, architectural designing, construction and effective management of various types of projects. The company's main aim is to provide quality properties in Siliguri which are a profitable investment while being a place which appreciated for its design, comfort and maximum space utilization. 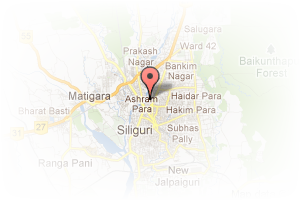 Address: City Center, Ranidanga, Siliguri, West Bengal, India. 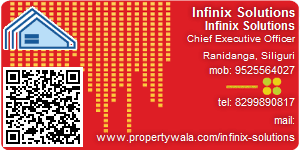 This Builder Profile page for "Infinix Solutions" has been created by PropertyWala.com. "Infinix Solutions" is not endorsed by or affiliated with PropertyWala.com. For questions regarding Builder Profiles on PropertyWala.com please contact us.